This chapter aims to present the main contributions coming from a professional and academic path, located in the interface between Psychology and Public Health, focused on the discussion and intervention in the field of Mental Health in Primary Care. In this sense, these contributions are evidenced around two axes: (1) Professional training, focusing on aspects of epistemological and methodological order; (2) Insertion and performance in Public Health Policies, particularly in the Psychosocial Care Network, in the scenario of deinstitutionalization and anti-asylum movement. 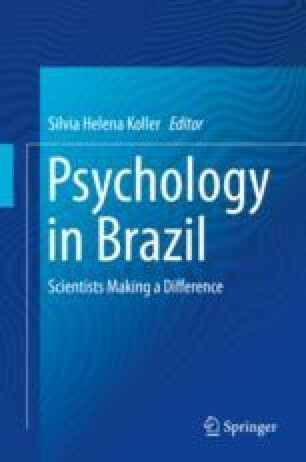 It highlights in the first axis the problematic points of the formation and professional culture of the psychologists and the necessity of a paradigmatic change in line with the conceptual and operational marks placed by the Primary Attention in world-wide level that generated a new agenda in terms of doing and managing work in mental health. The second axis emphasizes the affective adhesions instituted and the mode of action of the various “psi” technologies of subjectivation, its regulatory and control mechanisms, which make it difficult to formulate an ethical–political commitment with the production of a universal health system, associated with the idea of citizenship, as well as the construction of participatory, inclusive, and collaborative action/intervention strategies toward the integrality and territoriality of mental health care.